Everyone knows what modern architecture looks like, but few understand how this revolutionary new form of building emerged little more than a century ago or what its aesthetic, social, even spiritual aspirations were. Through illuminating studies of the leading men and women who forever changed our built environment, veteran architecture critic Martin Filler offers fresh insights into this unprecedented cultural transformation. From Louis Sullivan, father of the skyscraper, to Frank Gehry, magician of post-millennial museum, Filler emphasizes how their force of personality has had a decisive effect on everything from how we inhabit our homes to how we shape our cities. 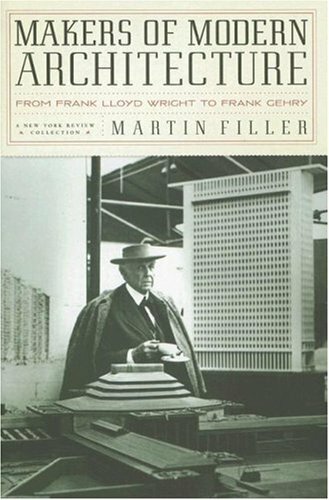 Why was the sudden shift in architectural fashion that wrecked the career of the Scottish designer Charles Rennie Mackintosh not enough to destroy the indomitable spirit of Frank Lloyd Wright, who rose from adversity to become America's greatest architect? Why was Philip Johnson, "dean of American architecture" during the 1980s, so haunted by the superior talent of this less-fortunate contemporary Louis Kahn that he could barely utter his name even at the peak of his own success? How did Ludwig Mies van der Rohe's dictum "Less is more" give way to Robert Venturi's "Less is a bore"?